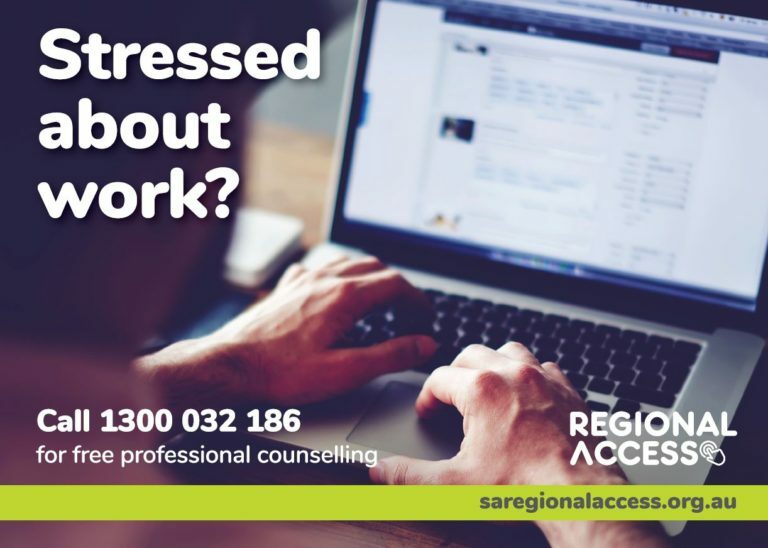 Regional Access offers free professional telephone and online counselling 24 hours a day, seven days a week for people 15 years and older living or working in regional South Australia. 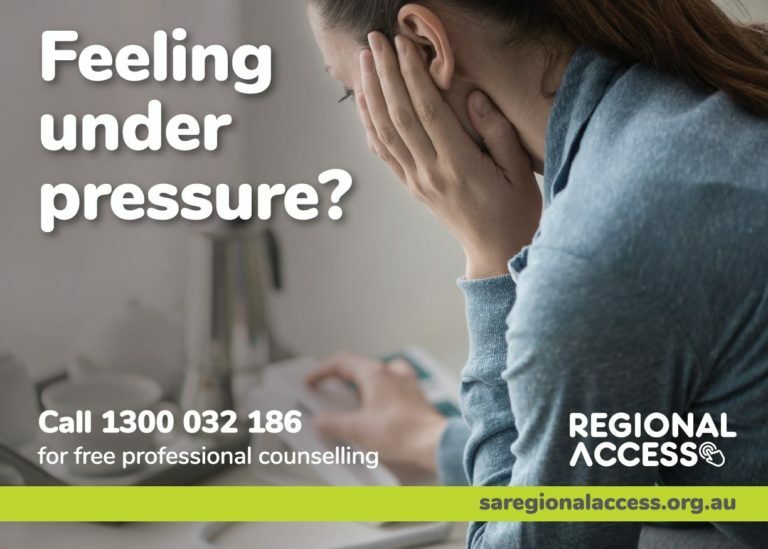 Regional Access is a free online and phone counselling service for people who are feeling the pressures and stresses of everyday life. 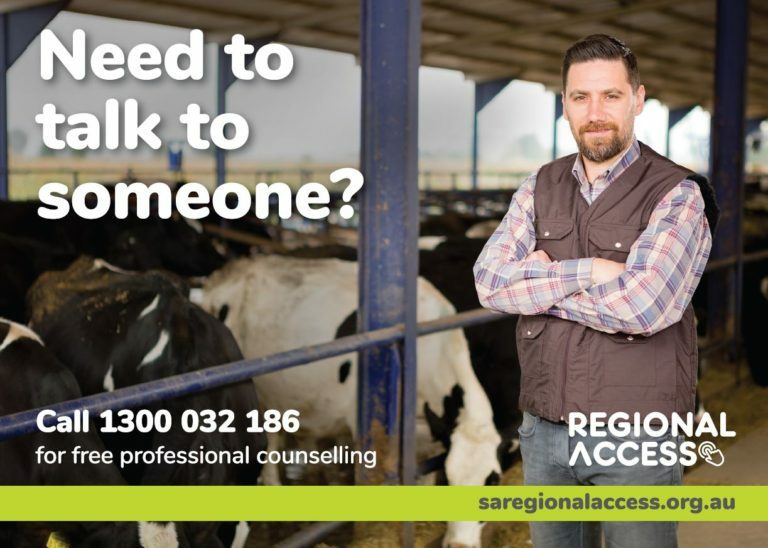 The Regional Access counselling service is available for anyone who lives or works in regional, rural or remote South Australia (i.e. outside of the Adelaide metropolitan region). You can call us 24 hours a day, seven days a week. You don’t need a referral, so you can make the call at a time that suits you. The counselling service is free (local call charges may apply). Be referred to a local face-to-face psychologist under a priority referral, if required. Commissioned by the Country SA PHN, Regional Access is delivered by On the Line. On the Line is a professional social health organisation providing counselling support, anywhere and anytime. 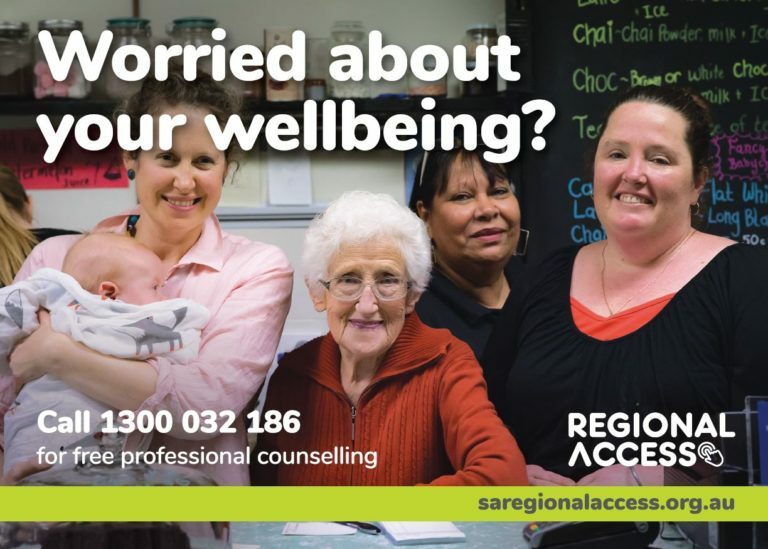 We listen and encourage people to feel better: building resilience, fostering healthy relationships, and connecting people with community support. On the Line’s highly trained counsellors provide professional, quality telephone, web chat and video counselling services to more than 100,000 people each year. Many of our services are available 24 hours a day, seven days a week. 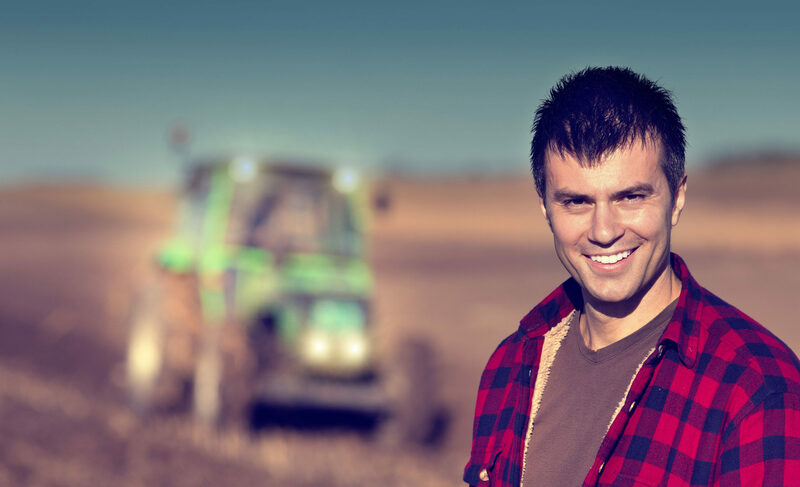 Our counsellors are experts in men’s mental health, anger management, family violence (using and experiencing), healthy relationships, integrated wellbeing, mental health, chronic health conditions, problematic drug and alcohol abuse, and suicide and trauma-informed practice for anyone affected by suicide. We deliver several specialist services including the Suicide Call Back Service, and MensLine Australia.